BMoCA’s Contemporary Classroom program. Image courtesy Boulder Museum of Contemporary Art. 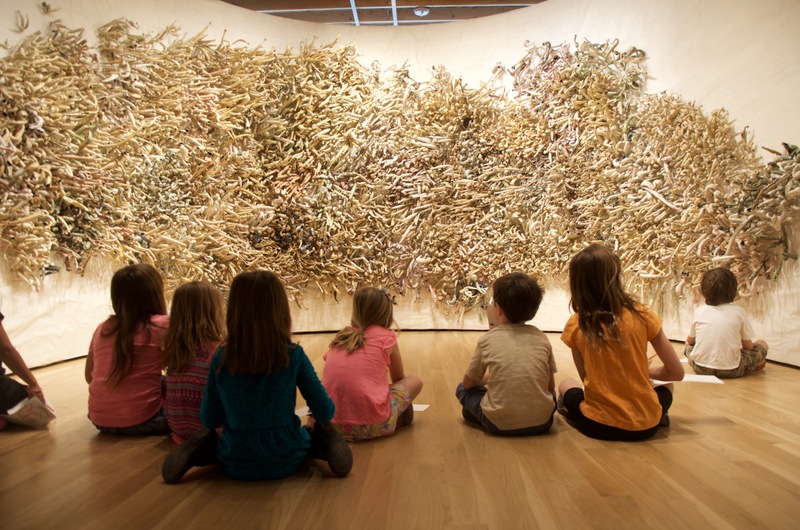 The Cultural Field Trips Fund provides opportunities for children at Title 1 schools in the City of Boulder to have direct experience with Boulder’s arts institutions and cultural destinations, while contributing to and reinforcing their classroom learning. Research has shown that early exposure to the arts results in continued engagement with the arts throughout a lifetime. The goals of the fund are to impact children in schools where there is the most need and increase the exposure of students to unique and memorable experiences that may shape their future in cultural participation, creative careers, and personal lives. Maximum amount per application: The costs of transportation and/or entry fees up to $2,000 per teacher for cultural field trips that take place within the Boulder Valley, as defined by the current version of the Boulder Valley Comprehensive Plan. Funds awarded on first come, first served basis – with consideration to equitable distribution of funds — until all monies are distributed. Cycle: Annual. Field trips must take place before the end of the spring 2020 semester (May 31, 2020). Open to: Public school teachers are eligible with the approval of their school administrators. These funds will be available to schools with Title 1 designation. Consideration will be given to maximize the number of schools participating. Cultural Field Trips must take place after the funding decision and within the school year that the fund is awarded. Deliberation. Applications for Cultural Field Trips are approved through administrative review by staff of the City of Boulder Office of Arts and Culture, and awards are announced at the next monthly meeting of the Boulder Arts Commission following the deadline. Evaluation of applications. Applications for Cultural Field Trips are awarded on a first come, first served basis – with consideration to equitable distribution of funds — to those who have met all the requirements of application. Receiving an award in previous years does not imply continued support. Each application is reviewed anew in the context of current policies and applications. 1st of each month at 5 p.m., year round deadline for applications. These are awarded on a first come, first served basis. Staff reviews applications and awards are announced at the next meeting of the Boulder Arts Commission following the deadline. The application page is through this link. Staff at the Office of Arts and Culture will send you a short questionnaire following the event. Contact Lauren Click at clickl@boulderlibrary.org or 720-564-2355 if you do not receive the report questionnaire via email.